With the Nanjing Youth Olympics coming up in August and a lot of tourists planning to head to the city to cheer on their kids and countries, I thought it would be a good time to highlight some of the sights worth seeing in Nanjing. While this largely industrial city isn’t a must see on a Chinese itinerary, that isn’t to say there aren’t things worth seeing and doing in the former southern capital of China. Nanjing is often overshadowed by Beijing in the north and Shanghai in the east, and with good reason. While Beijing boasts some of China’s most iconic sites and Shanghai is China’s most international city, Nanjing struggles to match either city on pure pulling power. It doesn’t have a Great Wall or a Summer Palace like Beijing, nor does it offer the shopping, dining, or night life of Shanghai. That said, Nanjing is not a city without its charms. It’s status as a former capital (Nanjing literally means South Capital) and its grim history during the Japanese occupation of China mean that there are some historic buildings worth checking out. 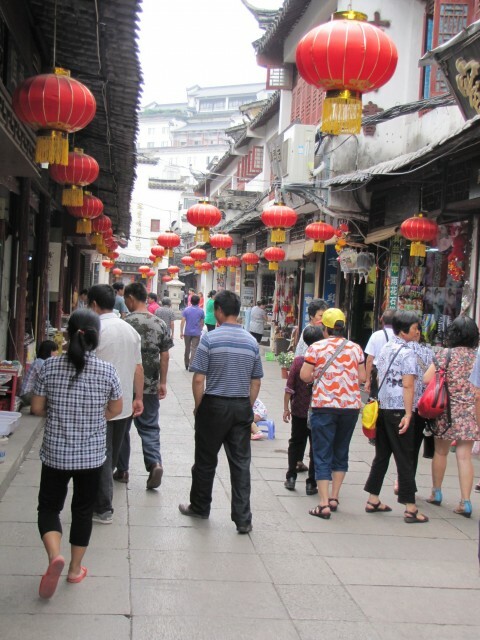 Fuzimiao (Confucius Temple) is a bustling market district centered around a number of historic buildings and temples not too far from the heart of Nanjing. Located on the banks of the Qinhuai River, the old style architecture and the willows flanking the water make for a place that is at once both serene and hectic. The crowds shopping at Fuzimiao. Fuzimiao is particularly beautiful at night, when the place really comes alive as a night market and the fairy lights set the traditional buildings ablaze with colour. The site itself dates back to 314AD, although the buildings on the site these days are less than two hundred years old. Even so, the temple and its surrounding buildings boast the distinctive raised eaves and whitewashing of Chinese architecture, and it’s easy to feel like you’re in ‘real China’ even as you pass cellphone vendors, fast food restaurants, and generic souvenir shops. If you’re looking to do some souvenir shopping or eat some traditional Chinese food with the westerner mark-up, Fuzimiao is the place to go. The trees in Fall are particularly beautiful when decorated. 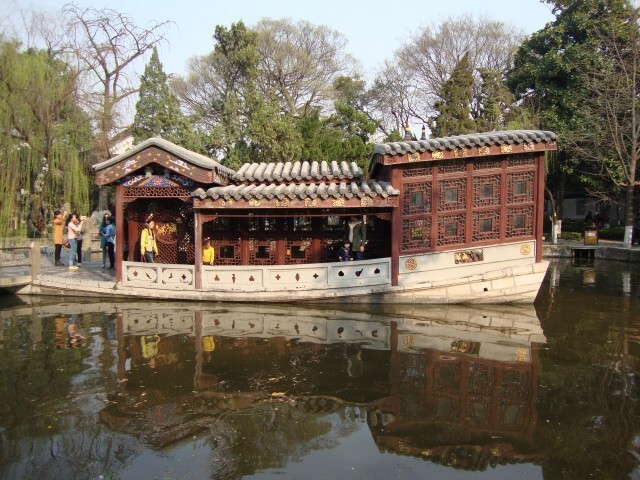 You can also take boat rides along the Qinhuai River canal, which is a fun experience. And, of course, don’t forget to visit the temple. Students of Confucianism studied at this site as far back as 1034, and the temple is a short introduction to the history of the school and the region. From 1927 until the break up of China (which former Taiwan and the current China) in 1949, the capital of China was located in Nanjing – and not Beijing or Shanghai as many might have believed. 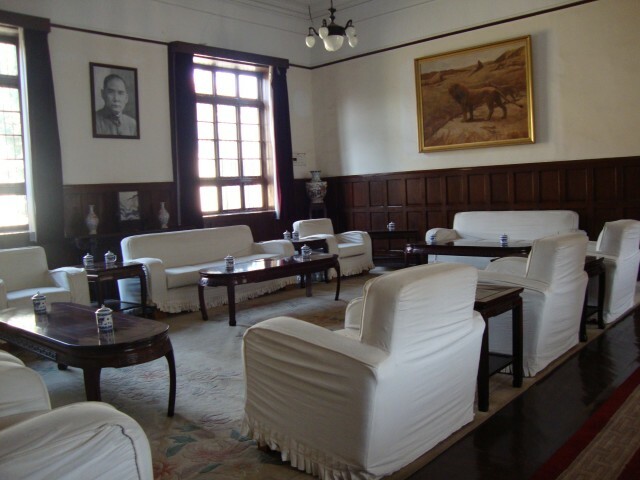 Located not far from Nanjing’s 1912 night-life district, the Presidential Palace still stands and acts as a modern history museum for those wanting to learn about China post World War 2. One of many displays inside the Presidential Palace. Were I able to read Chinese, I might know its significance. Most (if not all) of the text is in Chinese, however, making the place a tad inaccessible for visitors from abroad. You don’t need to read Chinese to enjoy the architecture or the calm of the well manicured gardens and ponds, however. 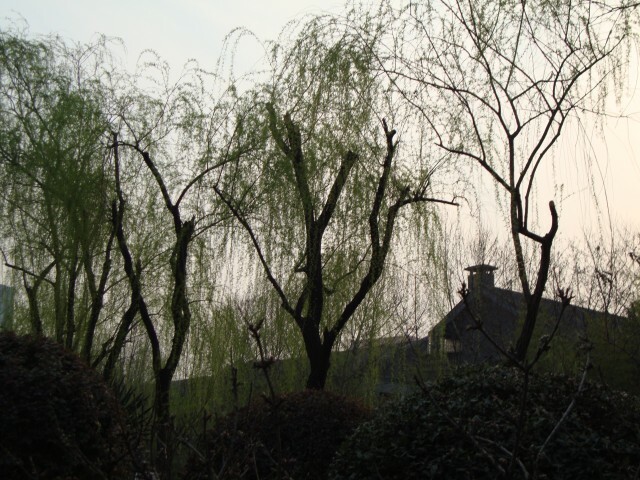 The sun sets behind the willow trees at the Nanjing Presidential Palace. A serene pond and boat-shaped building in the Presidential Palace gardens. There is a small fee attached with visiting the museum. With a history dating back as far as 182AD, Xuanwu Lake is the glittering heart of Nanjing and a beloved place to while away a lazy Sunday in summer or spring. Surrounded by the iconic Nanjing Wall, the lake offers a blessedly green reprieve from the hustle and bustle of a modern industrial city. Willows, cherry blossoms, lilies, maples, and countless other trees and flowers make up the beautiful gardens that cover the islands and banks of the lake – and even in a city as crowded as Nanjing, it’s possible to find your own little quiet area for a picnic or a bit of reading. A group of actors in traditional Chinese garb hanging out by the lake. Boats are available to hire and take out on the lake, and various restaurants and vendors scattered about the place offer refreshments such as tea, ice cream, or heartier fare. 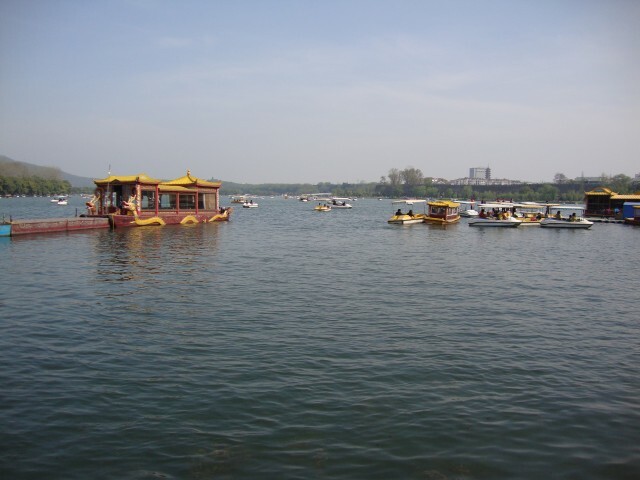 Boats out on the waters of Xuanwu Lake, Nanjing’s favourite playground. Nearby Ji Ming Temple is truly stunning when the cherry blossoms are in bloom each spring, but is worth a visit even without the trademark scattering of pink petals to greet you. There’s a fantastic Buddhist Vegetarian Restaurant on site too. 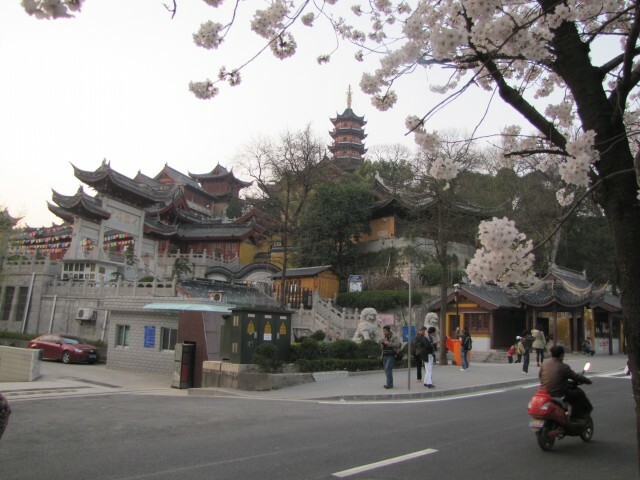 The cherry blossoms in bloom near Ji Ming Temple. Xuanwu Lake is no less beautiful once the sun goes down. The park’s lighting has been set up to be as eye-catching and artistic as possible, and in summer old men fly motorized, lit up kites to add to the effect. The park also offers stunning views of the sun set and the Nanjing skyline, which is dominated by nearby Zifeng Tower – the 9th tallest building in the world. 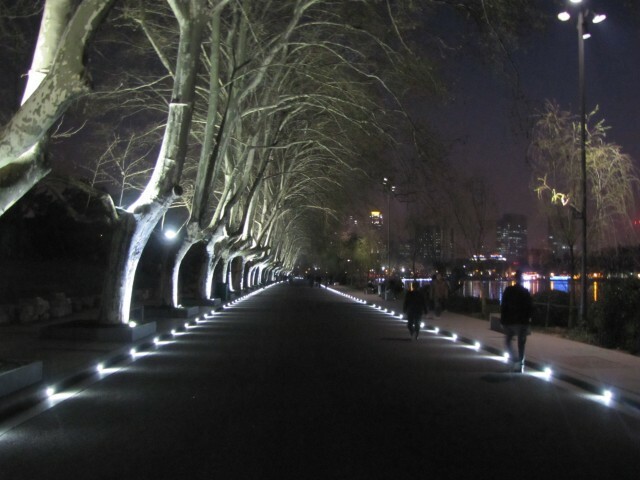 Nanjing’s Xuanwu Lake lit up at night makes for a lovely evening walk. Entrance to the park is free, and you can easily spend 4-5 hours wandering over its arched bridges and exploring its wooded islands. This is cheating, but Nanjing is so well-connected to nearby cities that you’d be crazy not to venture a little farther afield and see what else China has to offer. Serviced by two high-speed train stations, Nanjing offers tourists an easy point of access to cities such as Changzhou, Hangzhou, Shanghai, Suzhou, Wuxi, and even Shanghai. 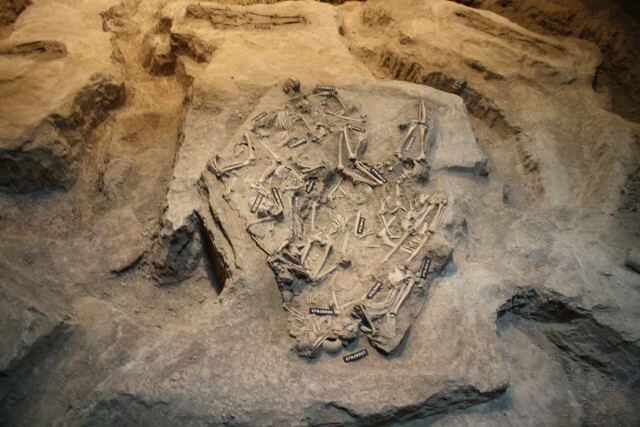 Visit Changzhou to take the kids to the well-known Changzhou Dinosaur Park – part museum and part theme park; Hangzhou to take in the utter beauty of West Lake; or Suzhou to pay a visit to one of the nearby ‘water towns’ that do their best to imitate Venice. Shanghai is for shopping and Wuxi offers a wealth of beautiful gardens for nature enthusiasts to explore. Tickets range between 80 and 120rmb ($20) and the high-speed rail takes only ninety minutes to reach Shanghai, two hours to get to Hangzhou, and less than an hour to reach places like Suzhou and Changzhou. It makes for a grim day out, but you can’t visit Nanjing and not pay tribute to the hundreds of thousands of people who lost their lives during the Japanese occupation of the city. 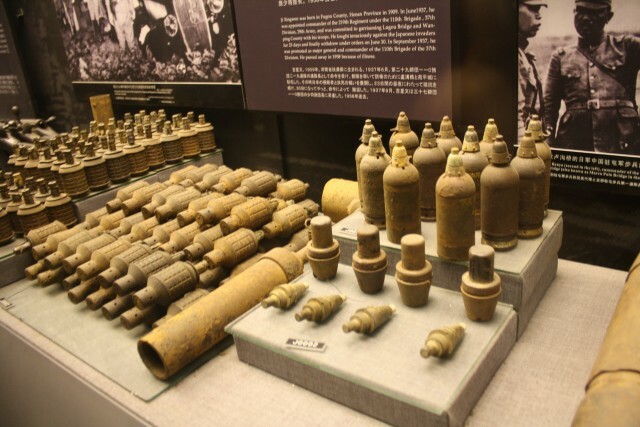 The Nanjing Massacre Memorial is a somber reminder of the huge cost of war, and acts as part memorial and part museum to the atrocities that took place. 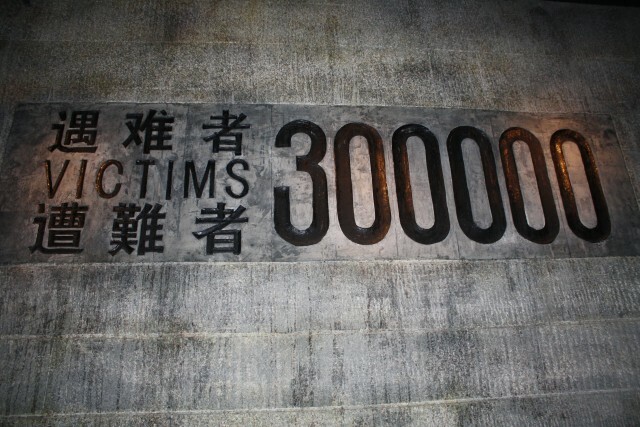 Part of the outdoor memorial at the Nanjing Massacre Memorial. The excavated bones of those killed in the Massacre are on display. The initial section, a museum, is a tad sterile – but very informative. 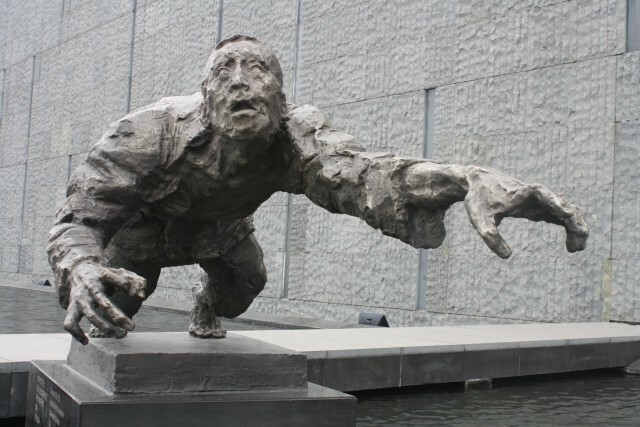 Confronting sculptures line the queue area for the Nanjing Massacre Memorial. Lines for the memorial can be dauntingly long, but I would argue that visiting is one of the most important things to do in Nanjing. If there’s one area of Nanjing I wished I’d spent more time exploring while I called the city home, it’s the Purple Mountain park and the many historic sites that litter it. Far from being ‘just’ a bastion of nature on the fringes of the ever-expanding city, Purple Mountain also offers visitors the opportunity to visit historic sites such as ancient Ming Tombs and the mausoleum of San Yat-Sen, the ‘Father of Modern China’. If you’re feeling adventurous, you can bring along some swimming gear and pay a visit to Purple Glow Lake. While it’s normally not advisable to go swimming in bodies of water in China, this well-kept lake is popular with locals and foreigners alike wanting a cool escape from the oppressive summer heat. 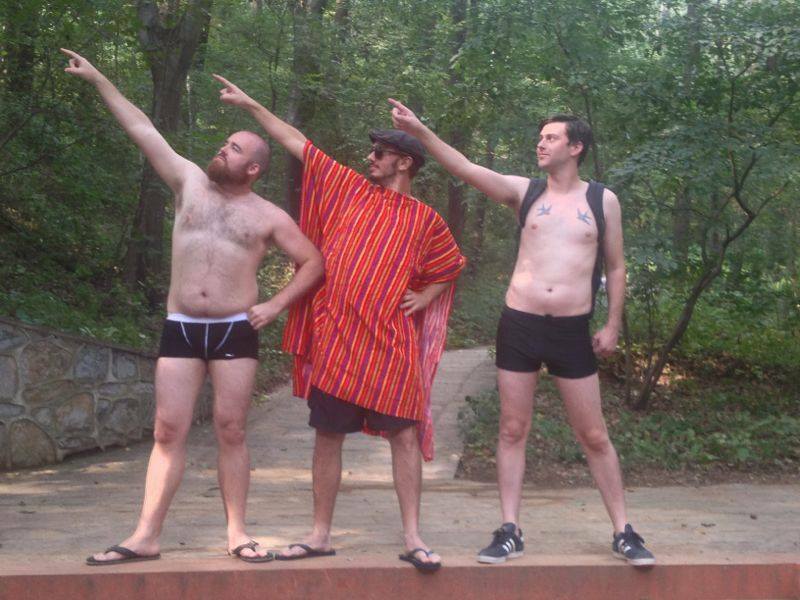 My friends and I rocking our Adventure Underwear at Purple Glow Lake on Purple Mountain. One can easily spend two or more days exploring Purple Mountain’s various gardens, historic buildings, and hikes. Entrance to the park is around 200RMB (roughly $30). 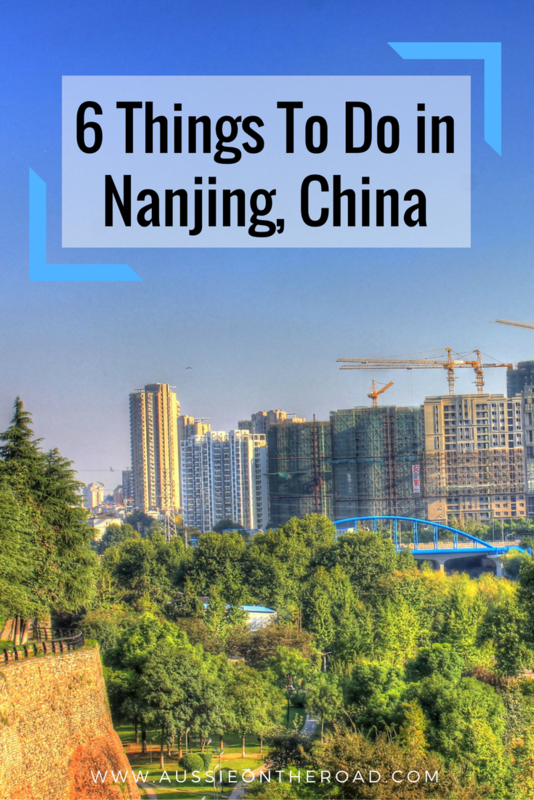 Have you ever been to Nanjing? 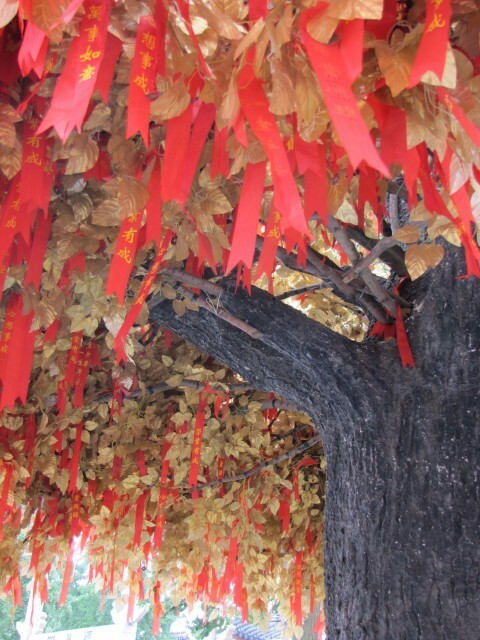 What are your recommendations for a visit to China’s former southern capital?